Halloween seemed to sneak up on me this year. I’m chalking it up to the fact that this month was warmer than normal so summer still seemed to be hanging in there. Regardless, Halloween is less than a week away and I am still without a costume. I can’t imagine I’m the only one in this boat. Therefore, I have come up with a list of fun and easy costumes, for any age, you can throw together last minute. A quick trip to the dollar store can produce wonderfully inexpensive costumes. For example, this cute little flower pot. You may even have this short list of materials around the house. All that is needed is a large pot, rope and fake flowers. First, cut out the bottom of the pot. Then drill some holes in either side of the top portion of the pot to create suspenders. 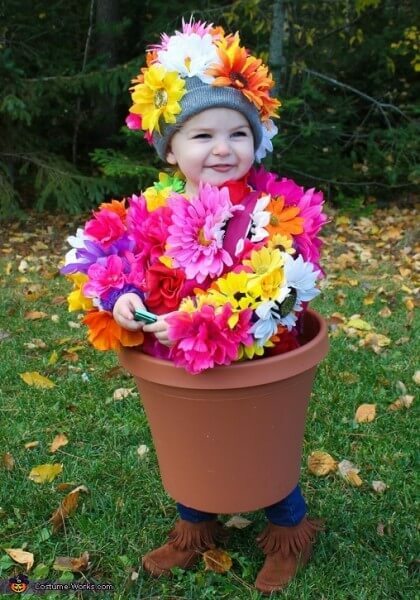 Lastly, glue some fake flowers to a shirt and hat – presto! I would wager that everyone has a pair of black pants and a black t-shirt in their closet. A black umbrella shouldn’t be hard to come by either. 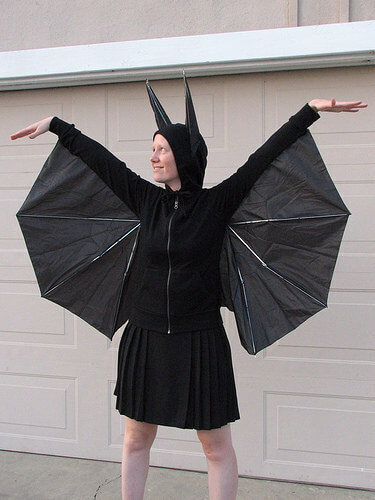 All you need now is a bit of crafting skills and you’ve got yourself a bat costume. Grab a few packs of Smarties and attach them to your pants. 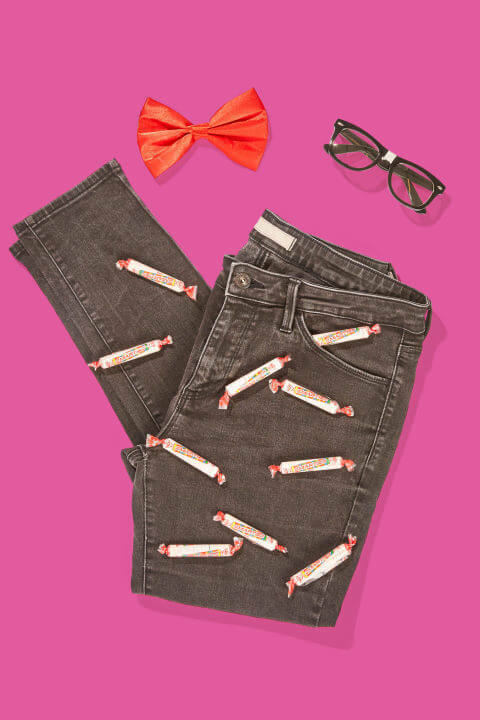 Instant “Smarty Pants” costume! 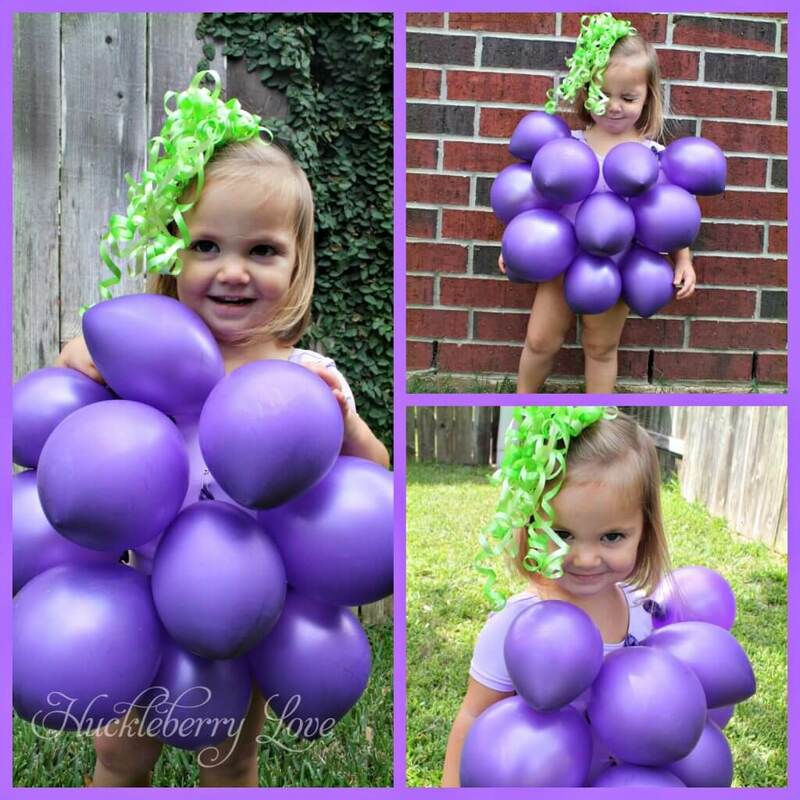 Balloons and ribbons can create the cutest little bunch of grapes.